Soundiron has announced the release of Sick 6, a cinematic horror instrument library for Native Instruments Kontakt. 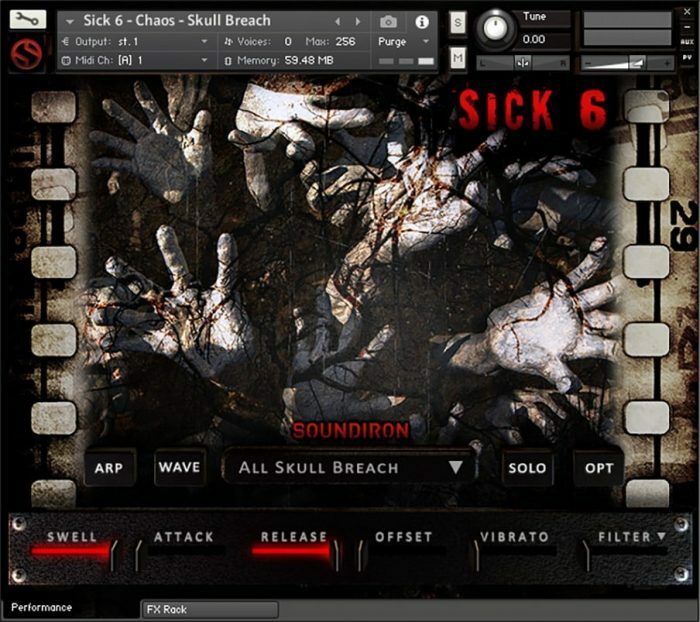 Sick 6 is a horror-themed cinematic trailer effects library for composers, sound designers, animators, film makers and game developers. It includes over 4GB of sound-designed content, with 1000+ stingers, boomers, impacts, stabs, hits, swells, falls, risers, tonal pads, drones, ambiences and more. We’ve crafted each sound from natural instrumental and environmental sources with our own secret recipes to deliver you a premier collection of uniquely vivid and supremely dynamic scoring elements, perfect for any horror, sci-fi, drama, suspense or action project. 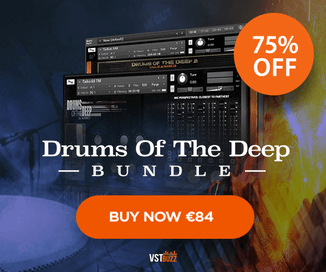 You’ll find 67 stinger and cinematic effect banks, each with a wide variety of distinct sounds to chose from. The banks are divided into 8 main categories: Chaos, Electro, Gore, Impact, Reveal, Rising, Strings and Suspense. There are 8 sustaining tonal ambience and atmospheric banks as well, each with plenty of complimentary flavors for underscoring, tension-building, environmental design and dark melodic scoring. You can play any individual sound as a one-shot effect, or instantly map it over the whole midi key range to play as a tuned instrument, with just a push of the “Solo” button. The library is for the full retail version of Kontakt 5.5 and later (OSX 10.8 or later / Windows 7 or later). The free Kontakt Player does not support this format. It comes equipped with dynamic sound shaping and mixing controls: swell, attack, release, offset, vibrato and filter, articulation bank loading, adaptive arpeggiation, FX Rack and built-in reverbs with 70 different room, hall, ambient and special FX impulses. And all samples are standard pcm stereo wave files with full Soundminer and BWF metadata, ready for easy import into most audio and video software. 1098 Samples (1009 Stingers and 89 Ambiences). 81 Kontakt 5.5 .nki preset banks. 24 bit / 48kHz uncompressed stereo PCM wav audio, with Soundminer & BWF Metadata. Sick 6 is on sale until November 6th for $59 USD (regular $99 USD).